I really hate most pet accessories. It seems like the majority of cat and dog accessories have some kind of paw print on them, or they're a boring tan, brown or army green color. If pet accessories looked more like the ones here, my house would be full of cat stuff. Unfortunately, they are all pretty pricey and I'm hesitant to spend that much when my cats are interested in new things for less than one day. Most of these accessories are made for dogs and cats. 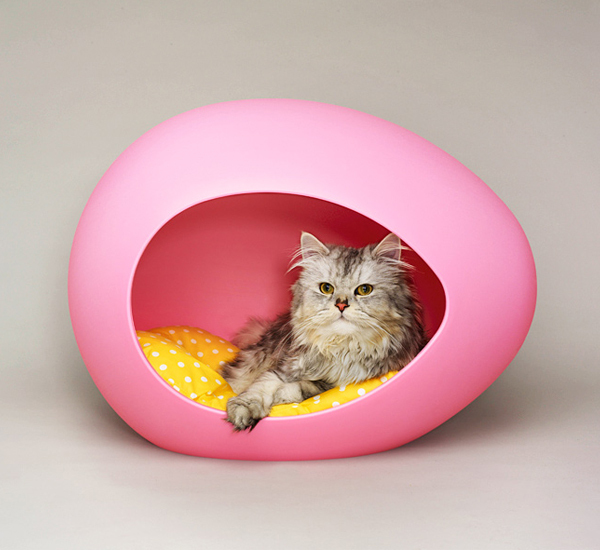 This dog and cat bed comes in a few different colors and it's one of my favorites because it seems the most durable. The only thing that needs to be cleaned is the removable pillow. You also have the option of getting different pillows! I think i'm actually getting this one. It's expensive but it might be worth it. I hate cleaning up all the little nuggets of dry food that my cats kick out when they eat. This rocker is great even if it didn't have a place for your buddy. Cat scratchers are some of the ugliest pet accessories out there, but this scratcher/hideaway is a piece of furniture you can be proud of. It doesn't even resemble a scratcher! 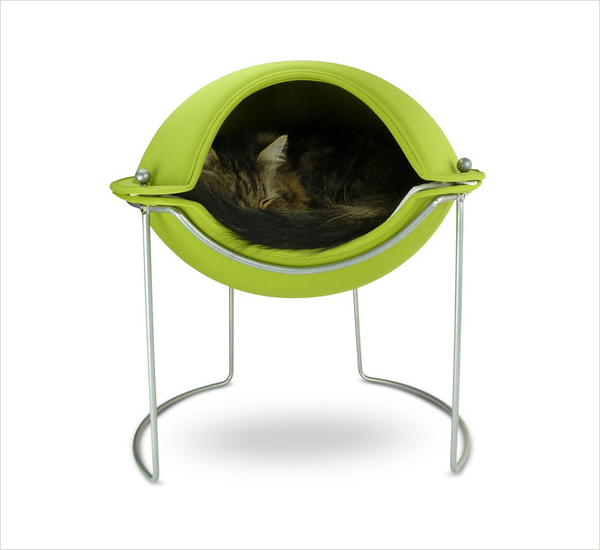 I really love this one and I want to get it but I know that the cats will sleep in it for one day, so I've restrained myself so far. 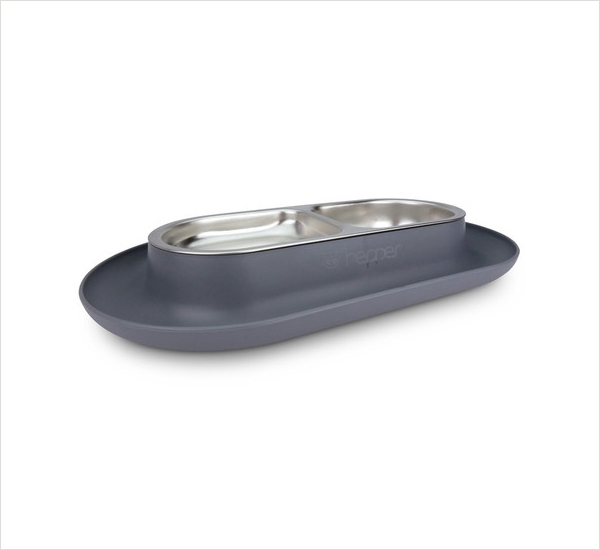 This is made for small dogs and cats. The top is removable, which is good because I'm not sure how easily it could be cleaned otherwise. I would really like this as a nightstand. 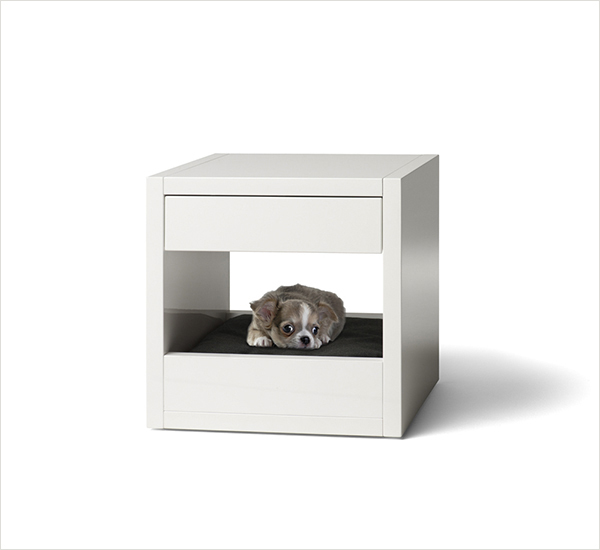 It's a good way to keep your pets nearby without them being in your bed. But at €299, it's not cheap. Another piece of furniture that does double duty. 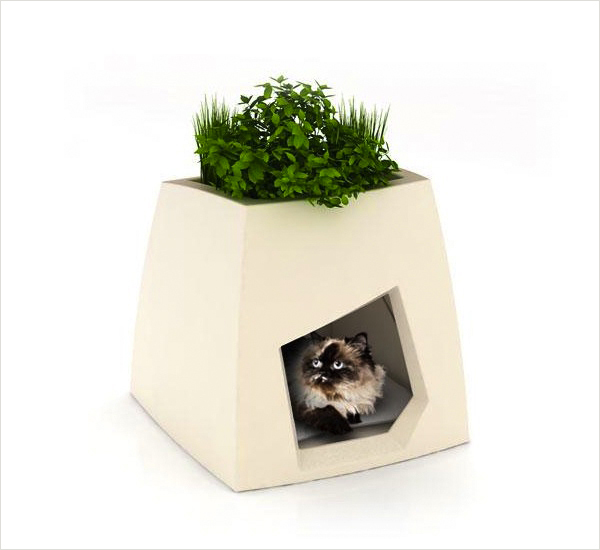 I love that this is a cool, modern, geometric planter and a place for your pets! 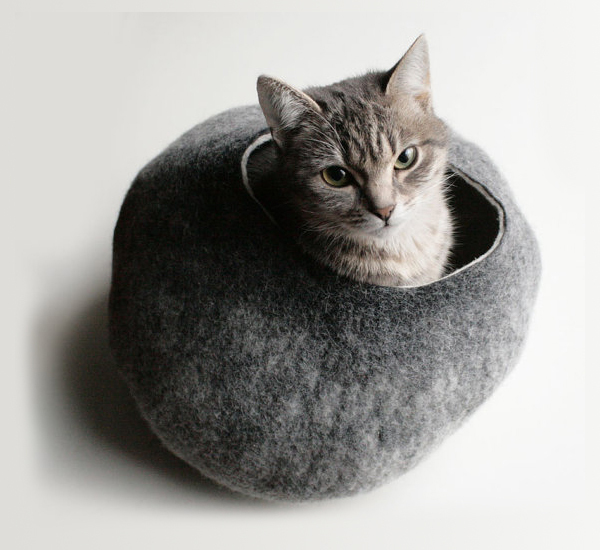 And finally the wool cat bed. This one will probably only work for cats since they like getting into small tight spaces. 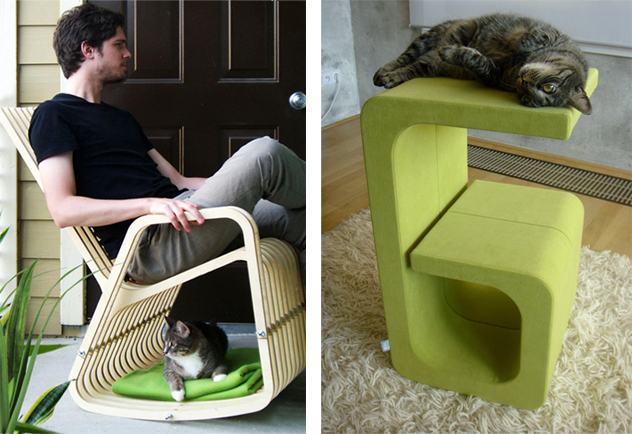 This is a really simple idea, but I think that most cats would love something like this. idk if you have every checked out fab.com. but they have like pet thursdays i think and they have a bunch of sellers and most of their things are like what you pictured above. Fab also gives you credits, right now i have like 16$ for no reason that they gave me so thats pretty awesome too! Thanks, I checked them out and signed up! It looks promising. Updating...I found a lot of this stuff on fab.com for cheaper! Thanks, kickasskiwi!